The most cost effective way to produce a tough temporary enclosures for construction. Dura Skrim 2 is light weight and tear-resistant because of the diamond reinforced pattern. The most common use is for construction building enclosures. Excellent for construction sites. This product is lightweight and versatile for many uses. 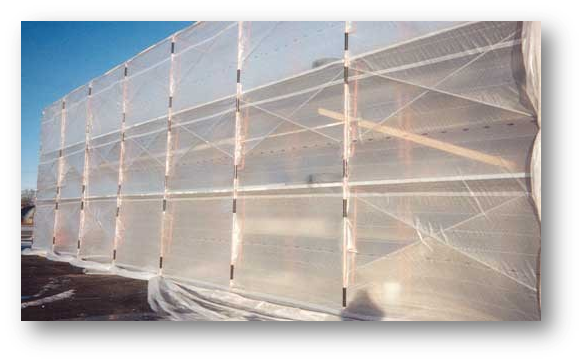 Dura-Skrim has been used in many applications including: construction covers, building covers, temporary walls for protection, restoration project for remediation, used to hold in insulation, crawl space applications, and more. 4 layer Reinforced Extrusion Laminate. Consists of two sheets of high strength Polyethylene fi..